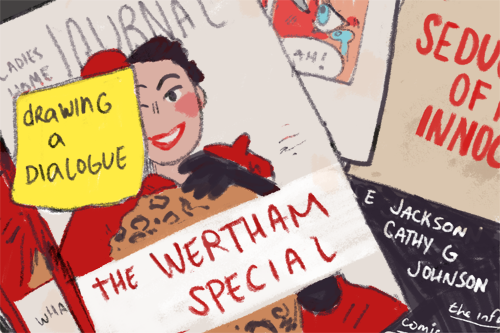 Drawing a Dialogue, Episode 4: The Wertham Special — Comic Art Ed! Drawing a Dialogue is a podcast discussing comics in historical + educational contexts by Cathy G. Johnson and e jackson. Episode 4: Infamously known as the author of the 1954 book Seduction of the Innocent + blamed for the demise of the Golden Age of comics, German psychiatrist Fredric Wertham is more than a censorship scapegoat. Cathy + e discuss his career as a medical psychiatrist, advocate for African American mental healthcare, + talk about the biases + legitimacies behind this controversial figure. Wertham, F. (1954). Seduction of the innocent. New York: Rinehart. Petersen, R. S. (2011). Comics, Manga, and Graphic Novels: A History of Graphic Narratives. Santa Barbara, CA: Praeger. Lerner, R. M. (1986). Concepts and theories of human development. New York: Random House. "Behaviorism," this was a definition from my professor at Brown University -Cathy G.
Nyberg, A. K. (1998). Seal of approval: the history of the comics code. Jackson: University Press of Mississippi. Anastasi, Anne. (1958). Heredity, environment, and the question “How?. Psychological review. 65. 197-208. 10.1037/h0044895.